"This September, the OUP Philosophy team honors Aristotle (384–322 BC) as their Philosopher of the Month." inform John Priest, Marketing Assistant at Oxford University Press. Among the world’s most widely studied thinkers, Aristotle established systematic logic and helped to progress scientific investigation in fields as diverse as biology and political theory. His thought became dominant during the medieval period in both the Islamic and the Christian worlds, and has continued to play an important role in fields such as philosophical psychology, aesthetics, and rhetoric. More is known about Aristotle’s life than many other ancient philosophers. Born in 384 BC, Aristotle’s parents were both members of traditionally medical families. His father died when Aristotle was fairly young, and Aristotle probably grew up at the family home in Stagira, in the Chalcidice region of northern Greece. At the age of about seventeen or eighteen, Aristotle was sent to school in Athens at Plato’s Academy, where he quickly made a name for himself as a student of great intellect, acumen, and originality. Aristotle remained at the Academy nearly twenty years, until Plato’s death in 348 or 347. He then relocated to Asia Minor, where he spent some years devoted principally to the study of biology and zoology. In 343 he moved to Pella, where he served as tutor to King Philip’s son, the future Alexander the Great. Aristotle returned to Athens, where for the next decade he engaged in teaching and research at his own school in the Lyceum. He fled from Athens to Chalcis on the death of Alexander, and died a year later in 322. Aristotle was a tireless collector and organizer of observations and opinions, and analyzed his data with a critical eye. He introduced innovative technical terms, and proposed highly original philosophical theses, and was strongly committed to rational argument. Building his case step by step, Aristotle’s writings often proceed dialectically, presenting the positions of those that he disagrees with as clearly as he can, then refuting them point by point in detail. 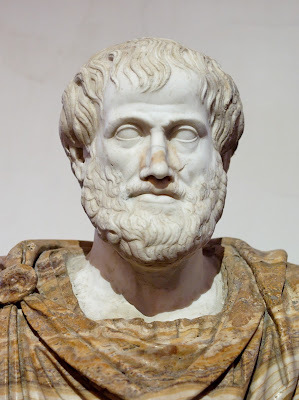 Always careful to survey the views of reputable thinkers who had approached a problem, Aristotle was the first Greek thinker to make engagement with the books of others a central part of his method. The extant works that comprise the Aristotelian corpus address a broad range of subjects, including logic, epistemology metaphysics, nature, life, mind, ethics, politics, and art. Aristotle was concerned with the preservation of knowledge of the diverse world we live in. His ethics, which he regarded as a branch of the natural history of human beings, demonstrates an appreciation of complex human motivations. Aristotle, like Kant, had an interest in categories, setting forth both the division of the sciences we continue to use, and the categories that have organized almost all subsequent philosophical thought. He avoids all extremes, and typically does justice to each side of the divisions that split philosophers into warring camps. Many of Aristotle’s works became staples of instruction during the Roman imperial period, and again in the Byzantine period. Translated into Arabic and Latin, they were the intellectual focus of the late medieval period in western Europe, and an inspiration to the great period of Islamic philosophy. Even in the twenty-first century, Aristotle’s organization of what is known and his approach to adding to knowledge are major parts of the intellectual universe. his September, the OUP Philosophy team honors Aristotle (384–322 BC) as their Philosopher of the Month. Among the world’s most widely studied thinkers, Aristotle established systematic logic and helped to progress scientific investigation in fields as diverse as biology and political theory. His thought became dominant during the medieval period in both the Islamic and the Christian worlds, and has continued to play an important role in fields such as philosophical psychology, aesthetics, and rhetoric. "Grinnell College is combining learning analytics with human-intelligence networks to increase student retention and completion. Social and psychological factors linked to learning data help predict a student's success." writes Randall J. Stiles and Kaitlin Wilcox. At Grinnell College, we believe we can achieve a deeper understanding of the factors that contribute to persistence and completion on our campus and at other institutions by examining the intersection of campus culture, the results of mixed-methods research, and our work with other colleges and universities regarding the art and science of interventions. Liberal arts colleges such as Grinnell provide students an opportunity to discover intellectual and personal interests and acquire vital skills in an intimate, residential setting shaped by close interactions with faculty. Classes in the liberal arts tradition are often small and inquiry driven; students typically have access to excellent research opportunities, libraries, laboratories, and infrastructure. Yet the liberal arts model also faces significant challenges in terms of finances, access, sustainability, technology, and public scrutiny. To succeed in this environment, liberal arts colleges need to make compelling arguments regarding cost, value, and quality. They also need to devote renewed attention to questions of student retention and success, demonstrating an ability to deliver an outstanding education that enables students to learn, thrive, complete their degrees at high rates, and find meaningful work. Colleges and universities have long relied on human-intelligence networks made up of faculty, professional advisors, other administrators, and students themselves to find the best balance of challenge and support for individualized learning and to monitor student progress. Because of the favorable ratios of staff to students at small, residential campuses, such networks continue to be a primary strength for those institutions. Augmentation means starting with what minds and machines do individually today and figuring out how that work could be deepened rather than diminished by a collaboration between the two. The intent is never to have less work for those expensive, high-maintenance humans. It is always to allow them to do more valuable work. Based on several years of work with predictive modeling for persistence and completion at Grinnell, we have identified three special challenges that we are currently addressing. First, we have had little in the way of comprehensive, high-frequency data such as that which could be provided by a robust, campus-wide implementation of a learning management system. Although such a system is available, it is not widely used—or used to its full potential—by the majority of faculty on our campus. Second, because Grinnell is a selective college, our persistence and completion rates are relatively high; as a result, we continually encounter the "small n" problem and a lack of statistical significance in our analyses of those who do not persist. Third, the majority of our attrition occurs among students who are not in academic trouble—that is, they have B or better GPAs. As a result, we believe social-psychological factors play a significant role in persistence and completion on our campus and at peer institutions. Having identified these challenges, our efforts focus on enhancing our human-intelligence networks, our use of analytical tools, and the synergies at the intersection of the two. At many U.S. colleges and universities, challenges to retention are often primarily associated with two factors: preparedness and financial resources. Many students fail to complete degrees because they are unable to handle the academic demands they face. They lack time-management and organizational skills, they arrive from underfunded secondary school systems that leave them without the writing and quantitative training they need, and they find themselves overwhelmed in the classroom. 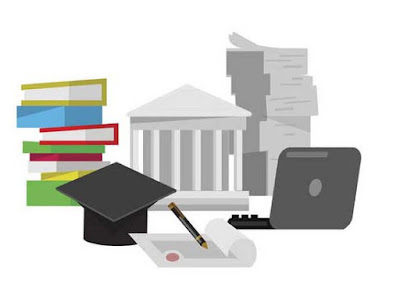 In other cases, students and families borrow to their limits and, faced with escalating tuition costs and competing demands, discover that they are unable to manage the financial load. Such forces can affect liberal arts colleges as well, but challenges to retention at these institutions often illustrate a series of different factors that are not so easily identified or confronted. With this challenge in mind, a holistic approach to the analysis of the student experience can be particularly valuable. "Seasoned scholars offer tips on first lectures, the ‘Eton mess’ of PhD supervision and why hobbies belong at work" inform Times Higher Education. A new academic year heralds not only the arrival of a fresh cohort of students. It is also when many young academics set about teaching their first courses and establishing independent research programmes. We asked six senior scholars to pass on one piece of advice that all new – and not-so-new – academics should heed. Kathryn Cave from IDG Connect reports, "As bootcamps gain popularity we look at their value in comparison to a computer science degree." At the beginning of last year I took the train out to rural Bedfordshire to visit a beautiful old water mill which has been converted into an intensive live-in bootcamp for coders. The setting was glorious, it had plenty of industry links and the promise, for attendees, was decent, well-paid employment at the end of it all. The debate between the merits of degrees vs. hands-on vocational training is not a new one. Yet as each year education becomes more expensive, in the UK at least, and as technological change picks up ever more pace, you can see how it has gained relevance. Indeed, at the start of August the Wall Street Journal ran a piece entitled “Coding Boot Camps Attract Tech Companies”. This focused on New York’s Flatiron School and looked at how employers are increasingly hiring graduates from non-traditional educational backgrounds. This trend is the same everywhere. Hired – an online UK recruitment platform for tech roles – recently released research which showed that while developers are a highly educated group with 74% having an undergraduate degree or higher, compared to around 42% of the UK population, the numbers studying for a computer science degree have fallen by about 10,000 since 2002. It suggested this was because of the sheer volume of individuals who opted for bootcamps or self-study rather than formal training. 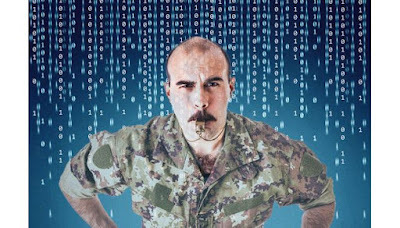 Jack Wearden, a Developer at invoicing solution DueCourse quantifies: “Coding bootcamps beat Computer Science degrees when it comes to preparing people for day-to-day life in software development jobs. 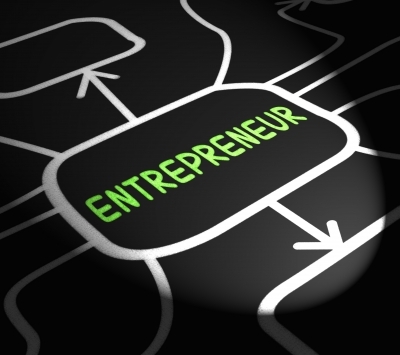 "Business entrepreneurship education program INCubatoredu is combining with Mobile Makers Academy in a newly named not-for-profit organization called Uncharted Learning." continues Business Wire. INCubatoredu co-founder Michael Miles said Uncharted Learning is positioned to advance entrepreneurship education with new and highly experiential programs. Mobile Makers Academy provides students and teachers with training in mobile app development using Apple's newest coding language, Swift. These modern and highly relevant technical abilities prepare students for today's workforce. "We are excited to join forces with Mobile Makers Academy and to add their expertise in building student literacy in coding mobile apps," said Miles. "Innovative mobile apps are redefining entrepreneurial businesses with new and powerful tools to address everyday needs. We expect this addition to our portfolio to be wildly popular with administrators and students," Miles added. Uncharted Learning's K-12 offerings will include INCubatoredu's entrepreneurship programs as well as Mobile Makers' iOS coding programs. On when a face veil is and isn’t a problem in lectures. Some lecturers will rightly encourage forms of student interaction that are impossible for those covering their faces, Eric Heinze, professor of law and humanities at Queen Mary University of London. His book Hate Speech and Democratic Citizenship is published by Oxford University Press argues. The headlines are screaming again about burkas. In the UK, a candidate for the leadership of the UK Independence Party wants to prohibit face veils in public. Terrorist attacks in Germany have spurred calls for a ban there, too. In France, seaside towns tried to ban “burkinis” and Nicolas Sarkozy, the former president who is eying another bid for office, wants to crack down on veils in universities. Politicians’ claims of responding to security threats are scarcely credible. There are a thousand ways to explode a bomb. In none of the major attacks in Europe have the perpetrators worn burkas. Since the French banned face-covering in public places in 2010, attacks have actually increased. The controversy is not about security but rather symbolism. To many Westerners, veiled women seem off-putting, hostile or alien to our values. Yet all sorts of people in modern public spaces look off-putting, hostile and alien to our values. If those are to be our criteria for imposing bans, the police will be busy indeed. When the French introduced their ban, the government cited, among other reasons, the importance of reciprocal exposure of faces. That was hardly a knock-down argument. In Paris, as in London, you can navigate oceans of faces without reciprocally interacting with a single one. You’ll scarcely take two seconds to notice the uncovered faces, so why ban the covered ones? Still, it would be wrong to conclude that face coverings should be admitted in all circumstances. We need something more nuanced than the all-or-nothing approaches. Universities offer examples of where burkas do and do not pose problems. Many lecture theatres resemble urban centres. Students stomp in and out, noticed neither by their instructor nor by each other. For the lecturer who needs to explain cellular photosynthesis or atomic half-life, it may matter little whether the auditorium seats 30 or 3,000, or whether one is present at all. Students can easily watch a taped lecture months later, thousands of miles away. They can wrap themselves in a dozen veils or can sit at their computers stark naked. The lecturers may not feel that those topics require the study of individual opinions. But other lecturers may seek models of communication whereby students interact not as individual data absorbers but as fully fledged citizens. Those lecturers must retain the prerogative to insist on facial exposure when they launch discussions on themes illustrative of citizens’ self-government, such as reintroducing the death penalty or legalising hard drugs. 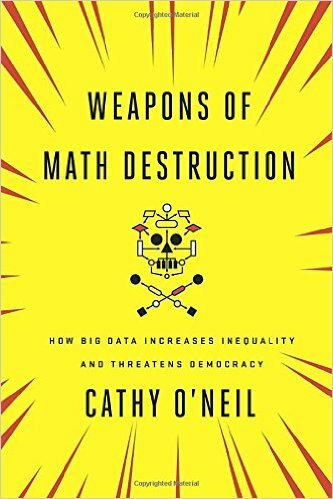 Weapons of Math Destruction: How Big Data Increases Inequality and Threatens Democracy, by Cathy O’Neil. Book of the week: If all-seeing ‘miracle’ tech is making the decisions we must demystify the tricks, says Danny Dorling, Halford Mackinder professor of geography, University of Oxford, and author of A Better Politics: How Government Can Make Us Happier (2016). 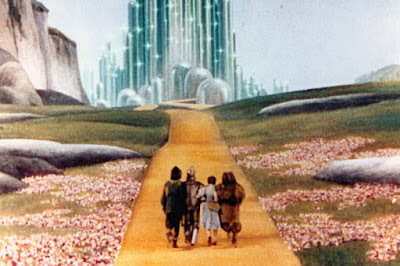 All-knowing deities: ‘Facebook is more like the Wizard of Oz: we do not see the human beings involved’, explains Cathy O’Neil of a modern world ordered by algorithms. Many years ago I attended an event at a packed lecture theatre at the annual meeting of the American Association of Geographers. A huge audience had gathered to hear a little-known academic speak on the subject “What your credit card record tells them about you”. But the speaker never appeared. Was it a successful stunt to illustrate just how paranoid we all are about what they know about us? Perhaps the speaker had been trying to show the audience just how little social scientists knew about “big data”, long before the phrase had ever been thought of – or perhaps he had just slept in. Cathy O’Neil, an academic and former hedge-fund quant, or quantitative analysis expert, has a story to tell, and it is a story about you. She draws from that same deep well of fear that helped to draw crowds at the AAG conference: the suspicion that we are all being observed by hidden forces, algorithms we cannot understand, designed by faceless quants who work to maximise the bottom line for their masters. 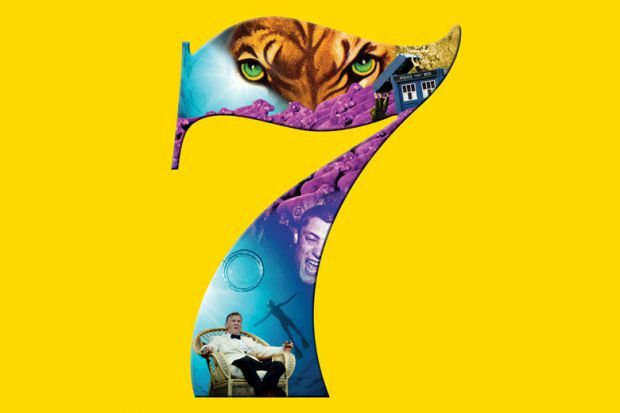 In the past, there was just one all‑seeing god we had to fear. Now we live in a world with multiple all-knowing deities, each a little different, each oblivious to the fate of most individuals, each unbelievably powerful and each potentially malign. As O’Neil explains of one of the biggest and most ubiquitous of those deities, “Facebook is more like the Wizard of Oz: we do not see the human beings involved.” We can’t see the quants who decide which of our many friends’ posts we view first, and it turns out that the quants play games with our emotions, testing to see how some groups react to being fed, say, more bad news than good. A majority of users (62 per cent, according to the data O’Neil cites) are completely unaware of this. These are newly emerging gods, and currently most of them are thought of as benign corporations distributing their software for free, presumably to enhance the common good. A majority (73 per cent) of Americans believe that the search results offered up to them by Google are both accurate and impartial. O’Neil asks how anyone could know if the results we see have been skewed to “favour one political outcome over another”. 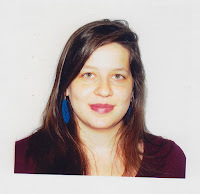 She reports that Google has prohibited researchers from creating scores of fake profiles in order to map the biases of its search engines. But then again – if they had done so, how would Google know? US voters, O’Neil claims, have been “microtargeted” by political parties and other unknown groups, which for her explains why 43 per cent of Republicans continue to believe that Barack Obama is a Muslim because “microtargeting does its work in the shadows”. Evidence for these and similar claims made in the book is scant; references are generally restricted to the name of a researcher and the university at which they work, and so ironically the reader has to rely on Google to find the source material. Google’s quants could map out who had most likely read this book and found it most interesting by focusing on such searches. But do they really have the time or inclination? Or do they abide by Google’s infamous dictum, “don’t be evil”? The pressure to be evil comes from that famous root of all kinds of it – money. Given the peculiarly undemocratic nature of the American presidential voting system, only 1 per cent of swing voters living in swing states can be key to the outcome. According to O’Neil, “the money from the financial 1 percent underwrites the microtargeting to secure the votes of the political 1 percent”. But can such voters be targeted that effectively, and where is this book’s reference to the smoking gun – the political quant who came in from the cold and explained how it was all done? I have a great deal of sympathy for O’Neil’s suspicions. In the late 1980s I was given access, as a doctoral student, to magnetic tapes containing the electoral roll of the UK, ordered by the geographical regions the Conservative Party then used. I was never told why the data lab I worked in had been given access to those data. We also later had data from the firm that would become Experian, and the credit card company Capital One, both of which are mentioned in Weapons of Math Destruction. Apparently, Capital One now carries out “rapid-fire calculations as soon as someone shows up on their website. They can often access data on web browsing and purchasing patterns.” But how do they do this? "Footage from an Education Week video project explores the topic of bridging the cultural divides that often exist between teachers and students." inform Anthony Rebora, Managing Editor of Education Week Teacher and the Teacher PD Sourcebook. As some of you may have seen, the Education Week video team had a piece on PBS NewsHour last week on the increasingly pressing topic of better preparing teachers to work in diverse classrooms. The segment looked at an ambitious program run by Illinois State University that places education students—mostly white, mostly middle-class—in high-minority Chicago neighborhoods for one month during the summer. The participants not only do a teaching stint in local schools. They also live with host families and work on community-service projects. The idea is to give these prospective educators a more nuanced understanding of their future students' lives and needs by immersing them in their communities. And there's some evidence that the approach makes a difference: More than 80 percent of the teachers who've come through the program remain in the classroom after five years—far above the average for high-needs urban schools. You can watch the full segment here. And—bonus—for those you who are interested in digging a little deeper into the topic of cultural competency in teaching, our video team has put together a couple of helpful web-only compilations from the footage they gathered while reporting the story. The first features excerpts from an extended interview with Carol Lee, a professor of education and African-American studies at Northwestern University. Lee, as you'll see, has a skeptical view of the type of classroom training teachers often get under the banner of cultural competency, saying that it can reinforce racial stereotyping. Instead, she emphasizes the importance of relationships and openness: "Cultural competence means that I have to go into that community with the humility in order to learn," she says. "As opposed to saying that there's a college program that's going to give me a box, because that's the way this stuff works." The second video offers a glimpse into a training workshop on cultural competency given to prospective teachers by Kyla Bailenson, the assistant principal of Hibbard Elementary School, on Chicago's West Side. "Living and studying abroad, experiencing a new culture, developing lifelong friendships and relationships, learning a new language, all while obtaining a degree in one's chosen field sounds like an exciting experience." notes Shennica David, CNA intern. Each year, many people travel thousands of miles, leaving behind their family, friends, cultures, and customs and to study in Taiwan. People choose to study in Taiwan for various reasons that include a search for an affordable education, a desire to gain an international experience, and a chance to explore a new culture. Even with very little exposure to Mandarin Chinese, some students opt for the additional challenge of taking a degree program taught fully or partly in that language. While this may seem like a daunting task, many foreign students have tackled it successfully. This is possibly the single most important part of the process. Research is important first of all to select a suitable Chinese learning center in terms of cost, location, course content, teaching methods, among other factors. 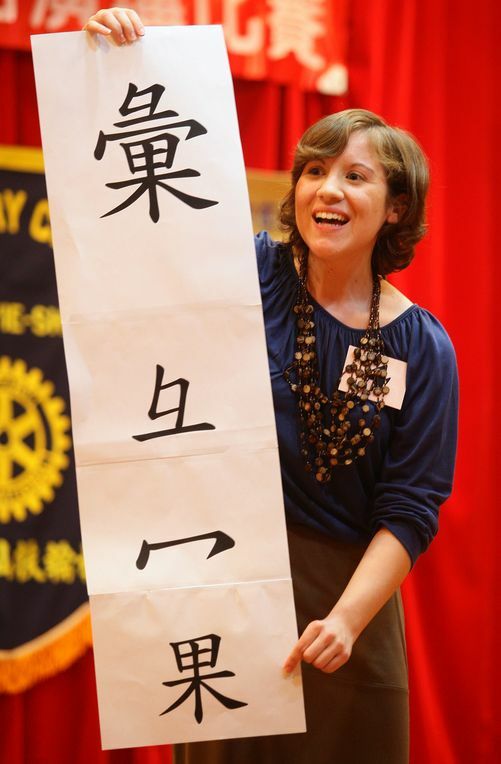 Taiwan has over 30 language centers, stretching from Taipei in the north to Kaohsiung in the south. It pays to read as much as possible about them, talk with past and present students, communicate with faculty members, make a shortlist of schools, and visit those on the shortlist if possible. This same approach can be applied when seeking a university for degree studies. For some students, one year of Chinese language learning might be enough to prepare for transition to a university where the language of instruction is Chinese. Others might require two years or more of Chinese classes before they could feel confident enough to enter such an environment. It is important to have a plan based on one's strengths, weaknesses, and overall goals. Heritage speakers and students from Asian countries such as Japan and Korea, which have many Chinese characters or cognates in their languages, tend to fit easily into the one-year language study category. People with no prior exposure to Sino-Tibetan languages, however, may require more time to achieve spoken fluency and to gain some competency in Chinese reading and writing. 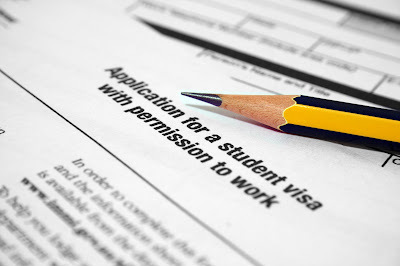 Whatever the decision, it is always a good idea to having a backup plan -- a plan B -- with regard to the preparation time for entry to a university program taught entirely in Chinese. "Modules for self-paced, online learning projected to drop by more than 5% domestically and abroad." continues Education Dive. Usha Albuquerque, founder director of Careers Smart inform, "Sometimes you want to take a course just for the sheer joy of learning something new. A other times you need to complete a course for a better job, a promotion, or a college application. Anyone and everyone can take up an online course and improve their career prospects." On your phone 24x7? Now use it to increase your knowledge, pick up a skill and even get a degree or diploma. Today digital technology has taken learning to another level. Online learning, or e-learning — the process of learning using various types of media that deliver text, audio, images, animation, and streaming video — diffuses knowledge and learning without borders. Practically every professional course and skill can be learnt through online education nowadays. There are diploma and certificate programmes in accounting, computer networking, cyber law, creative writing, disaster management, mass communication and journalism, fashion design and merchandising, data analytics, E-commerce etc. There are even distance learning courses in poultry farming and bee-keeping. What’s more, this phenomenon is enabling individual students from any part of the world to access Ivy league content and the best-in-class education taught by top faculty at top universities like Stanford, Harvard, MIT and others, for free, or nominal charges. Under the massive open online courses (MOOCs) system, such courses cover a wide variety of subjects and careers from business management, economics and all the sciences to professional courses in teaching, law, library science, journalism, computers, biotechnology, agriculture and linguistics, hotel management and so on. So today you can as easily pick up a course in commerce and history for enhancing your educational qualifications, as you can on Chinese architecture, war in the Middle East, life beyond the planets, or genomic medicine, for further widening your horizons. Many of the courses provide students with course materials, contact classes, and often multimedia facilities through classrooms without walls. Such courses can also help students with enhanced classes for supplementary learning of school and college subjects, like Salman Khan of Khan Academy has demonstrated so ably. However, it is too early to predict the course or influence of MOOCs in India especially but it could be valuable for many students who want to save on the cost of an international higher education degree or for those who simply want to experiment with different academic courses before applying to a foreign university. "A study by the Danish Evaluation Institute has shown that both study-relevant work and participation in project-oriented courses have a significant positive effect upon the chances of Danish masters students landing a job upon graduation and the salary received, while a study abroad period does not have as positive an effect on work chances or salary after graduation." inform Jan Petter Myklebust. The Danish Evaluation Institute, or EVA, working under the Ministry for Children, Education and Gender Equality, monitors the effect of Danish education programmes. In June, EVA published a report (in Danish) entitled Effects of Study-relevant Work, Study Exchanges and Project-oriented Courses: An effect analysis of masters candidates’ options at universities. From the Danish central statistical archives and information from universities, data for all masters candidates graduating during the period 2009-12 were examined in terms of three parameters: whether they had participated in work-related activities during their studies, if they had participated in project-oriented courses or if they had participated in merit-giving study abroad during their studies. There were two parts to the study: 28,921 graduates were included in the work part of the study and 22,665 in the salary part. These numbers differed because the studies were undertaken at different points in time. Those candidates who engaged in study-relevant work were 10% to 20% more likely to find employment in the year after graduation than those who did not. This was the case in four out of five study disciplines – in the humanities, the social sciences, the natural sciences and in technology, but not in health studies. The study also found that more students who had engaged in study-relevant work, or study-relevant work in combination with project-oriented coursework or a study abroad period, achieved a positive salary effect within 12 months of graduation. This was the case in the humanities, the social sciences and the natural sciences, with an increased salary range between DKK1,295 (US$195) and DKK4,659 (US$700) a month compared to students who had not undertaken study-relevant work. "Robots could soon take on many jobs that involve ethical interactions, such in healthcare or education - but will they command the respect we give humans?" reports Aviva Rutkin, reporter at New Scientist. Would you do what a robot told you to do? If people stealing food right under the eyes of a bot is anything to go by, RoboCop is still a long way off. In a twist on a common psychology experiment, in which a picture of a pair of eyes seems to make people behave more honestly, Guy Hoffman at Cornell University in Ithaca, New York, and his colleagues stationed a robot guard to watch over a table of snack food labelled with a “reserved” sign in a student common room. 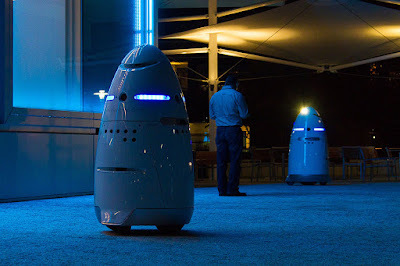 The team used a mObi robot made by US robotics company Bossa Nova. This does not have a threatening appearance, like some security bots — such as the Knightscope (pictured) — but it has eyes that looked around the room. Still, it proved a poor deterrent. Seven per cent of passers-by still helped themselves to food, only slightly fewer than the 8 per cent who took food when the table wasn’t guarded at all. In contrast, only 2 per cent of people pinched a snack when a human was sitting at the table. Hoffman is interested in finding out how people act around robots in everyday settings. “We talk about robots being in healthcare and education and the government and the military — these places where ethical behaviour is a big issue,” he says. 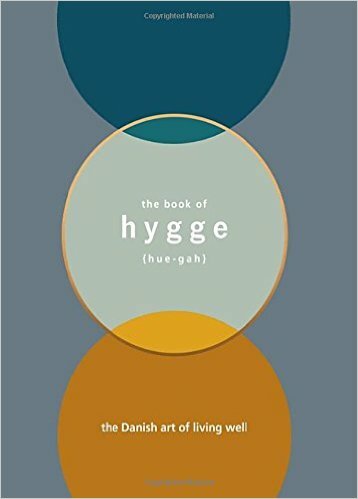 Check out what's the Meaning of the Danish Word "Hygge", the Danish ritual of enjoying life’s simple pleasures. 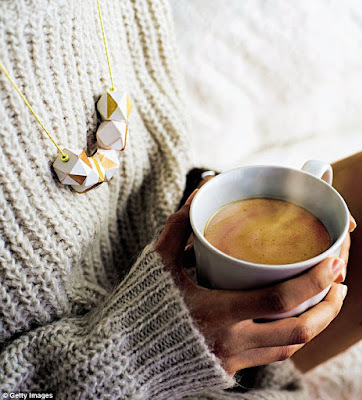 "It’s the latest import in our obsession with all things Scandi, but what is hygge (pronounced hue-gah) all about?" insist John Koski. 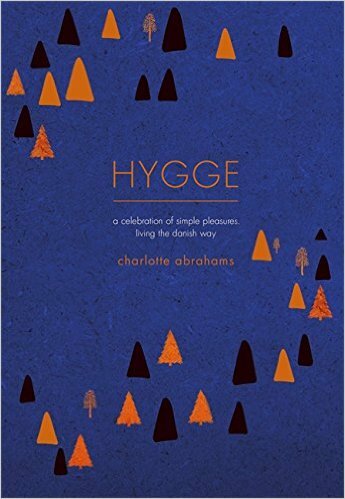 Think cosy nights in front of a roaring fire, a cup of tea with a good book, a winter walk along a beach… And say hello to the way of life that’s been keeping the Danes happy for years. What have the Danes ever given us? Lego, obviously – and the resulting agony for parents of inadvertently stepping barefoot on a misplaced brick in the middle of the night; unmissable Nordic noir television series such as The Killing and Borgen; posh Bang & Olufsen audiovisual equipment, and Danepak bacon. Actually, not a bad record for a country of 5.7 million people, who for several months of the year have just eight hours of daylight. 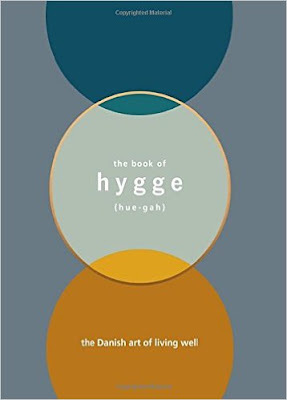 But a new and potentially more pervasive Danish export is about to hit the UK: something called hygge. At the last count, no fewer than seven books with the word ‘hygge’ in the title were due to be published between now and October, so there will be no hiding from what has been described as a ‘Scand-wagon’. There has been nothing like it since the Vikings invaded, but this time the outcome promises to be more benign and life-enhancing. Hygge: A Celebration of Simple Pleasures. 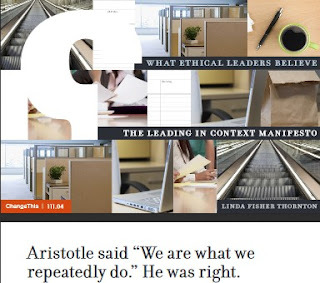 Check out how the eBook will help you and your team understand the mindset of the ethical leader of the future. Linda Fisher Thornton, Founder and CEO of Leading in Context, and author of the award-winning book 7 Lenses. She teaches as Adjunct Assoc. Prof. for University of Richmond SPCS writes, "Our daily choices define us. They show just how far beyond ourselves we’re thinking, how broadly we imagine our constituents, and how we see ourselves in the world." Would someone shadowing me on a busy day at work be able to tell that I am trying to be an ethical leader? Do I demonstrate an awareness of the ripple effect that my choices generate? 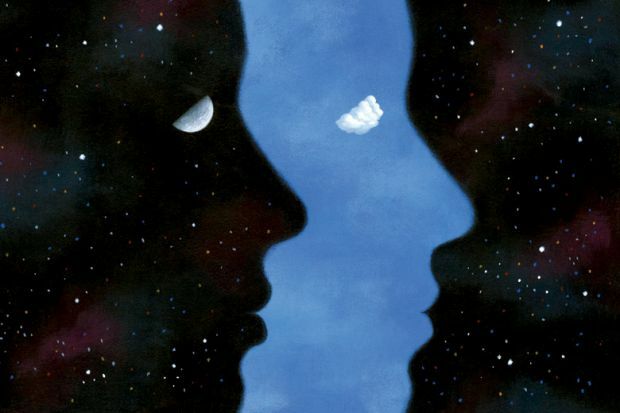 Do my choices—both big and small—show a sense of moral commitment to thinking beyond myself? To learn more about Leading In Context, you can visit their website. Thornton offered a few thoughts on her experience teaching at SPCS, being involved in AFAC, and being engaged in researching and presenting the recent Innovations in Teaching report.